The Cameo Zenit® Z 120 is a powerful, fully RDM-enabled PAR spot for demanding professional applications. The long-lasting 120 W RGBW COB LED and 16-bit technology create vivid, high-resolution and exceptionally homogeneous colour mixtures along with perfect dimming behaviour. With a range of 7° to 55°, the motor zoom provides flexible illumination ranging from sharp, narrow beams to widely spread expanses. With flicker-free operation, thanks to a 3,600 Hz refresh rate, and its IP65 classification, the ZENIT Z 120 is excellently suited for use in TV and film or outdoors. The PAR spot also features colour temperature correction, a variable white balance and 4 selectable dimmer curves, whose response can be adjusted to simulate halogen lamps. 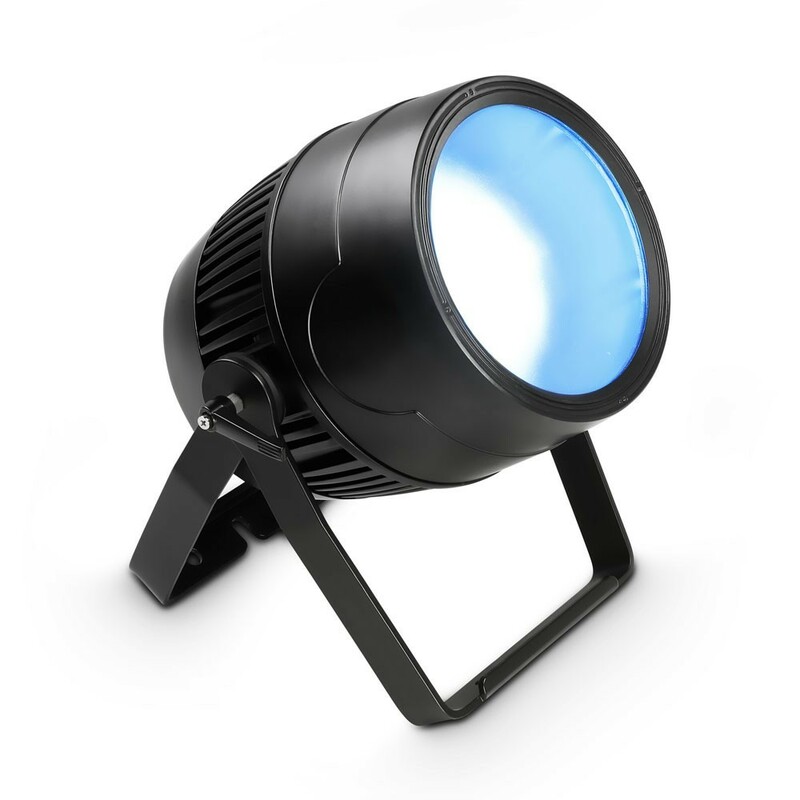 The ZENIT Z 120 can be controlled in 7 modes via DMX or operated in master, slave or standalone mode. It is operated via a backlit display with 4 buttons. An access lock prevents unauthorized setting changes. The Cameo ZENIT Z 120’s extremely robust housing is convection-cooled for silent operation. The spot works with all voltages between 100 and 240 volts; Neutrik powerCON TRUE1 and 5-pin X-HD input and output sockets facilitate problem-free parallel connection. The adjustable double bracket makes easy mounting possible and also serves as a floor stand.